Persuasión y afecto en el marco de la Pobreza: Un experimento engoal framing (encuadre de los resultados). En respuesta a la enorme y algunas veces conceptualmente inconsistente literatura sobre valence framing, Levin y sus colegas (1998) desarrollaron una tipología de encuadre de valencia que organiza los diferentes resultados a partir de elección arriesgada, atributo, y encuadre de los resultados (goal framing). Este estudio favorece la literatura sobre encuadre de los resultados mediante (a) su aplicación en el contexto de una cuestión social como la pobreza infantil extrema; y (b) el examen de los mecanismos afectivos sobre el cual el encuadre de los resultados es de eficacia persuasiva. Los resultados experimentales (N = 197) mostraron que la exposición al mensaje de encuadre de pérdida permitió un apoyo mayor hacia las políticas públicas que buscan erradicar la pobreza infantil, en comparación con el mensaje de encuadre de ganancia. Los resultados también revelaron que el afecto negativo sirve como herramienta mediadora de apoyo hacia las políticas públicas. Agostinelli, G., & Grube, J. W. (2002). Alcohol counter-advertising and the media: A review of recent research. Alcohol Research & Health, 26(1), 15-21. Ajzen, I., & Fishbein, M. (1970). Prediction of behavior from attitudinal and normative variables. Journal of Experimental Social Psychology, 6(4), 466-487. Baron, R. M., Inman, M. L., Kao, C. F., & Logan, H. (1992). Negative emotion and superficial social processing. Motivation and Emotion, 16(4), 323-346. Batson, C. D. (1990). How social an animal? The human capacity for caring. American Psychologist, 45(3), 336-346. Binder, A., & Puig-i-Abril, E. (2007, August). Thwarted by frames: Attributions of poverty and support for public policy. Paper presented at the Association for Education in Journalism and Mass Communication Annual Convention, Washington, DC. Bohner, G., Chaiken, S., & Hunyadi, P. (1994). The role of mood and message ambiguity in the interplay of heuristic and systematic processing. European Journal of Social Psychology, 24(1), 207-221. Chang, C. (2008). Ad framing effects for consumption products: An affect priming process. Psychology & Marketing, 25(1), 24-46. Chang, C. T., & Lee, Y. K. (2009). Framing charity advertising: Influences of message framing, image valence, and temporal framing on a charitable appeal. Journal of Applied Social Psychology, 39(12), 2910-2935. Chou, E. Y., & Murnighan, J. K. (2013). Life or death decisions: Framing the fall for help. PloS One, 8(3), e57351. Davis, J. J. (1995). The effects of message framing on response to environmental communications. Journalism & Mass Communication Quarterly, 72(2), 285-299. De Vreese, C. H., & Boomgaarden, H. G. (2003) Valenced news frames and public support for the EU: Linking content analysis and experimental data. Communications, 3(4), 361-381. Dillard, J. P. (1993). Persuasion past and present: Attitudes aren’t what they used to be. Communication Monographs, 60(1), 90-97. Dillard, J. P., & Meijnders, A. (2002). Persuasion and the structure of affect. In J. P. Dillard, & M. Pfau (Eds. ), The persuasion handbook. Developments in theory and practice (pp. 309- 327). Thousand Oaks, CA: Sage Publications, Inc.
Dillard, J. P., & Nabi, R. L. (2006). The persuasive influence of emotion in cancer prevention and detection messages. Journal of Communication, 56(S1), S123-S139. Dillard, J. P., & Peck, E. (2000). Affect and persuasion. Emotional responses to public service announcements. 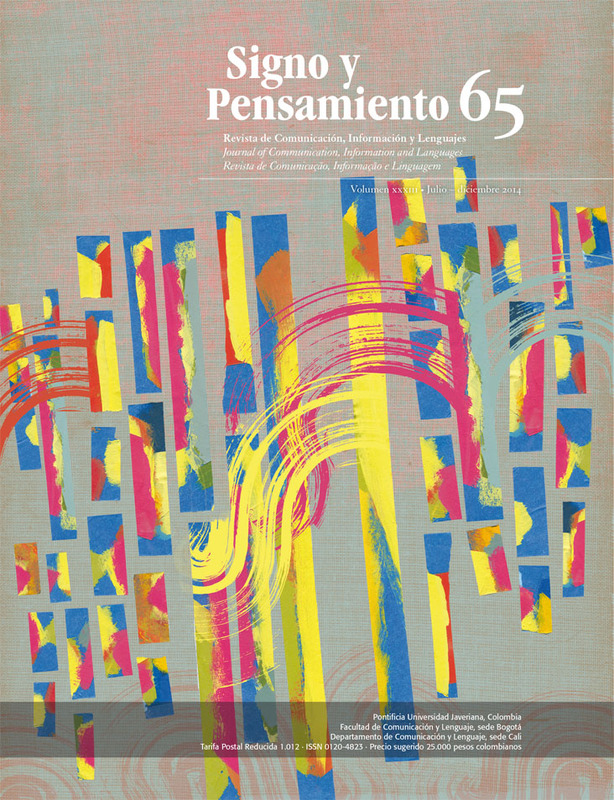 Communication Research, 27(4), 461-495. Eagly, A. H., & Chaiken, A. (1993). The psychology of attitudes. Belmont, CA: Wadsworth. Fiske, S. T. (1980). Attention and weight in person perception: The impact of negative and extreme behavior. Journal of Personality and Social Psychology, 38(6), 889-906. Hannah, G., & Cafferty, T. P. (2006). Attribute and responsibility framing effects in television news coverage of poverty. Journal of Applied Social Psychology, 36(12), 2993-3014. Hasseldine, J., & Hite, P. A. (2003). Framing, gender and tax compliance. Journal of Economic Psychology, 24(4), 517-533. Hayes, A. F. (2005). Statistical methods for communication science. Mahwah, NJ: Lawrence Erlbaum. Iyengar, S. (1990). Framing responsibility for political issues: The case of poverty. Political Behavior, 12(1), 20-40. Janis, I., & Feshbach, S. (1953). Effects of feararousing communications. Journal of Abnormal Social Psychology, 48(1), 78-92. Jasper, J. D., Woolf, J., & Christman, S. D. (2014). Responding to framed health messages: Different strokes for different (handedness) folks. Psychology & Health, 29(6), 671-686. Kotler, P., Roberto, N., & Lee, N. (2002). Social marketing: Improving the quality of life. Thousand Oaks, CA: Sage Publications, Inc.
Kotler, P., Roberto, N., & Leisner, T. (2006). Alleviating poverty: a macro/micro marketing perspective.Journal of Macromarketing, 26(2), 233-239. Levin, I. P., Schneider, S. L., & Gaeth, G. J. (1998). All frames are not created equal: A typology and critical analysis of framing effects. Organizational Behavior and Human Decision Processes, 76(2), 149-188. Lifton, R. J. (1967) Death in Life: Survivors of Hiroshima. New York: Random House. Littler, J. (2008). ‘‘I feel your pain’’: Cosmopolitan charity and the public fashioning of the celebrity soul. Social Semiotics, 18(2), 237-251. MacKenzie, S. B., Lutz, R. J., & Belch, G. E. (1986). The role of attitude toward the ad as a mediator of advertising effectiveness: A test of competing explanations. Journal of Marketing Research, 23(2), 130-143. MacKinnon, D. P., Lockwood, C. M., & Hoffman, J. M. (1998). A new method to test for mediation. Paper Presented at the Annual Meeting of the Society for Prevention Research, Park City, UT. MacKinnon, D. P., Lockwood, C. M., Hoffman, J. M., West, S. G., & Sheets, V. (2002). A comparison of methods to test mediation and other intervening variable effects. Psychological Methods, 7(1), 83-104. McCormick, M., & McElroy, T. (2009). Healthy choices in context: How contextual cues can influence the persuasiveness of framed health messages. Judgment and Decision Making, 4(3), 248-255. Meyerowitz, B. E., & Chaiken, S. (1987). The effect of message framing on breast self-examination attitudes, intentions, and behavior. Journal of Personality and Social Psychology, 52(3), 500-510. Millar, M. G., & Millar, K. U. (2000). Promoting safe driving behaviors: The influence of message framing and issue involvement. Journal of Applied Social Psychology, 30(4), 853-866. Nabi, R. L. (1999). A cognitive-functional model for the effects of discrete negative emotions on information processing, attitude change, and recall. Communication Theory, 9(3), 292-320. Nabi, R. L. (2002). Discrete emotions and persuasion. In M. Pfau, & J. P. Dillard (Eds. ), The persuasion handbook: Developments in theory and practice (pp. 289-308). Thousand Oaks, CA: Sage. Nabi, R. L. (2003). Exploring the framing effects of emotion. Do discrete emotions differentially influence information accessibility, information seeking, and policy preference? Communication Research, 30(2), 224-247. Nan, X. (2009). Emotional responses to televised PSAs and their influence on persuasion: An investigation of the moderating role of faith in intuition. Communication Studies, 60(5), 426-442. Nash, K. (2008). Global citizenship as show business: The cultural politics of Make Poverty History. Media, Culture & Society, 30(2), 167-181. O’Keefe, D. J., & Jensen, J. D. (2006). The advantages of compliance or the disadvantages of noncompliance? A meta-analytic review of the relative persuasive effectiveness of gainframed and loss-framed messages. Communication Yearbook, 30, 1-43. O’Keefe, D. J., & Nan, X. (2012). The relative persuasiveness of gain-and loss-framed messages for promoting vaccination: A meta-analytic review. Health communication, 27(8), 776-783. Petty, R. E., & Briñol, P. (2008). Psychological processes underlying persuasion: A social psychological approach. Diogenes, 55(1), 52-67. Putrevu, S. (2014). Effects of Mood and elaboration on processing and evaluation of goal-framed appeals. Psychology & Marketing, 31(2), 134-146. Rothman, A. J., & Salovey, P. (1997). Shaping perceptions to motivate healthy behavior: The role of message framing. Psychological Bulletin, 121(1), 3-19. Rothman, A. J., Bartels, R. D., Wlaschin, J., & Salovey, P. (2006). The strategic use of gainand loss-framed messages to promote healthy behavior: How theory can inform practice. Journal of Communication, 56(S1), S202-S220. Scheufele, D. A., & Iyengar, S. (in press). The state offraming research: A call for new directions. In K. Kenski y K. H. Jamieson (Eds. ), The Oxford Handbook of political communication theories. New York: Oxford University Press. Schneider, T. R., Salovey, P., Apanovitch, A. M., Pizarro, J., McCarthy, D., Zullo, J., & Rothman, A. J. (2001). The effects of message framing and ethnic targeting on mammography use among low-income women. Health Psychology, 20(4), 256-266. Shead, N. W., Walsh, K., Taylor, A., Derevensky, J., & Gupta, R. (2010). Youth gambling prevention: Can public service announcements featuring celebrity spokespersons be effective? International Journal of Mental Health and Addiction, 1-10. Shen, L. J., & Dillard, J. P. (2007). The influence of behavioral inhibition/approach systems and message framing on the processing of persuasive health messages. Communication Research, 34(4), 433-467. Slovic, P., & Västfjäll, D. (2013). The more who die, the less we care: Psychic numbing and genocide. In A. J. Oliver (Ed. ), Essays in behavioral public policy. Cambridge, UK: Cambridge University Press. Small, D. A., Loewenstein, G., & Slovic, P. (2007). Sympathy and callousness: The impact of deliberative thought on donations to identifiable and statistical victims. Organizational Behavior and Human Decision Processes, 102(2), 143-53. Sobel, M. E. (1982). Asymptotic confidence intervals for indirect effects in structural equation models. In S. Leinhardt (Ed. ), Sociological methodology (pp. 290-312). San Francisco, CA: Jossey-Bass. Taylor, S. E. (1991). Asymmetrical effects of positive and negative events: The mobilization minimization hypothesis. Psychological Bulletin, 110(1), 67-85. The World Bank. (2014). Poverty & equity data. Global poverty indicators. World Bank Report. Toncar, M., Reid, J. S., & Anderson, C. E. (2007). Effective spokespersons in a public service announcement. National celebrities, local celebrities and victims. Journal of Communication Management, 11(3), 258-275. Van‘t Riet, J., Ruiter, R. A. C., Werrij, M. Q, Candel, M, J, J, M., & De Vries, H. (2009). Distinct pathways to persuasion: The role of affect in message-framing effects. European Journal of Social Psychology, 40(7), 1261-1276. Wong, N. C., Harvell, L. A., & Harrison, K. J. (2013). The Unintended Target: Assessing Nonsmokers’ Reactions to Gain-and Loss-Framed Antismoking Public Service Announcements. Journal of Health Communication, 18(12), 1402-1421. Zu, J., & Yuan, K. (2010). Local influence and robust procedures for mediation analysis. Multivariate Behavioral Research, 45(1), 1-44.